Skptricks CSS html html5 web development HTML5 Template Design for Blogger, Wordpress, Medium etc. HTML5 Template Design for Blogger, Wordpress, Medium etc. Today we will discuss how to create HTML5 Template Design for Blogger, Wordpress, Medium etc. we are making a HTML5 web template, using some of the new features of HTML5. In this tutorial, we are using a few of the tags introduced with this new version of HTML. header - wraps your page header. footer - wraps your page footer. section - groups content into sections (e.g. main area, sidebar etc). article - separates the individual articles from the rest of the page. Check out the below HTML5 template diagram, which gives you a brief idea about this Blog HTML5 Template. 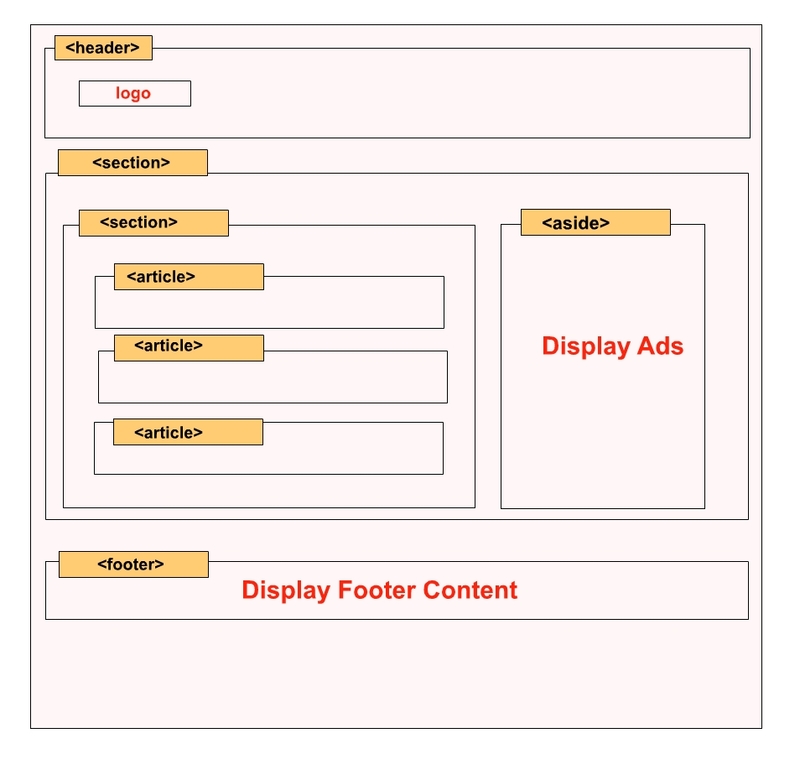 HTML5 Layout Design From Scratch Including Header, Article, Footer Tag Etc. Lets see the complete example to create HTML5 Template Design for Blogger, Wordpress, Medium etc. Here we have tried our best to make this demo as simple as possible, so without wasting time, see the below source code. 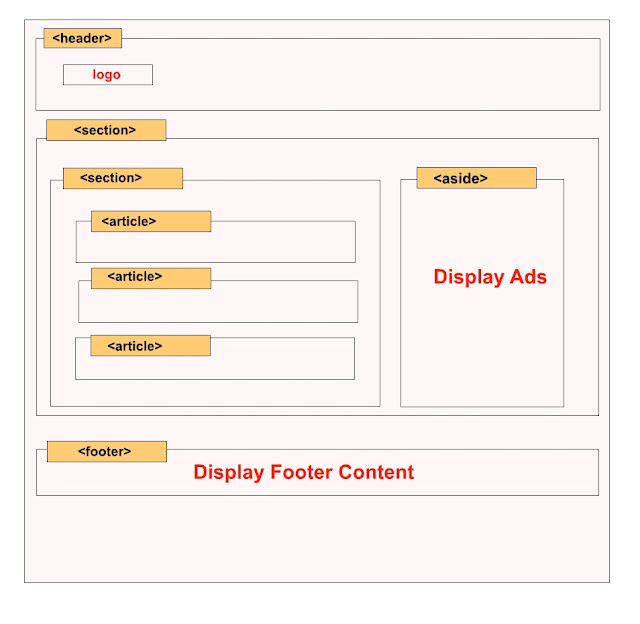 This Main page for HTML layout design including header, article, section, aside, footer tag etc. <section> In this tutorial, we are going to discuss how to create Twitter like Expanding Textbox with Jquery. It is very simple and easy to use. Here we have used focus and focusout function of Jquery. <section> Today we are going to discuss Facebook loading animation using CSS3. If you observed that when you open Facebook in web application it shows a content loading placeholder like below screenshots.To display loading effect in webpage based application, you need some ideas on CSS3. Here we are using CSS3 Keyframes to create desire effect. <section> In this tutorial we are going to build AJAX Pagination with PHP using jQuery Pagination plugin. With the help of pagination concept we will load list of records/data from MySQL database. Here I am using AJAX to fetch records for each page from database with jQuery. <section> Today we are going to share some ideas about Htaccess. Basically Htaccess is a configuration file use on web servers running the Apache Web Server software and Using Htaccess you can easily configure and redirect Apache Web Server file system. <section> In this tutorial we are going to discuss Jquery UI Datepicker. This is a smallest and powerful jQuery UI datepicker, which provide lots of functionalities and very easy to use and integrate in web based application. This is a stylesheet design for above HTML5 template design. This all about Blogger style HTML5 Template design including header and footer design. Thank you for reading this article, and if you have any problem, have a another better useful solution about this article, please write message in the comment section. One page - one < H1 >. We can use more than one, it is not an issue. It's really good. thanks for sharing this information with us. No doubt you're helping so many peoples. This is an amazing article. Thank you so much for posting such informative content. This is my first visit to your blog! I found your article very fantasy. Thanks for sharing this information. You have written very good informative information about latest topic. You have given great information article that will be very useful for me. I want to know more information deeply about it. This is really awesome post. I like this topic and also I like the way you have written this post. This site has lots of advantage.I found so many interesting things from this site. It helps me in many ways. Thank you so much for sharing such an amazing post. I really like your post because it is useful for readers so thanks for writing a such useful informations. Instead of using the plugin we can create this to get the safest blog. Thank You for the information, Keep it up. Hi, Thanks for writing this article. your blog is really informative, keep writing. I shall be waiting for your next post. Knowledgeable reading your post. Hi, you really share a nice post and I really get something to learn from your post.Keep sharing more content like this ! Hi, really nice post. Thanks for writhing this informative post. Hello there, Thanks for composing this article. your blog is extremely enlightening, continue composing. I will sit tight for your next post. I am also associated with Platform Developer 1, Platform Developer 2, Platform Developer 2 Dumps, Platform Developer 1 Dumps, Salesforce Data Architect Certification Questions, and love to enjoy the stuff on the same as its rarely found on internet. Thanks again for writing such a good post. Awesome content, really i enjoyed, throughout the content, and thanks for writing such a good article. Such an amazing job accomplished! Thanks for giving us this nice, useful piece of information. Thank you for posting such a great article! It's extremely pleasant and meaningful. it's extremely cool blog. Connecting is exceptionally valuable thing.you have truly helped bunches of individuals who visit blog and give them useful data. I'm using this website to download templates for all of my own websites. Try to, sure you'll find great for yours too. Great blog very helpful for designers.